The members of the Washington Canoe Club are pleased to invite you to the 13th Annual Kumu'ohu Challenge on the Potomac River. This is both the season opening race of the East Coast Outrigger Racing Association sanctioned OC1/OC2 points series and the Mid-Atlantic SUP racing season. In addition to outrigger and SUP, classes will include surfski, sea kayak, and ICF sprint canoe/kayak. Come celebrate the spring thaw with a great day of paddling and camaraderie in the Nation's Capital. 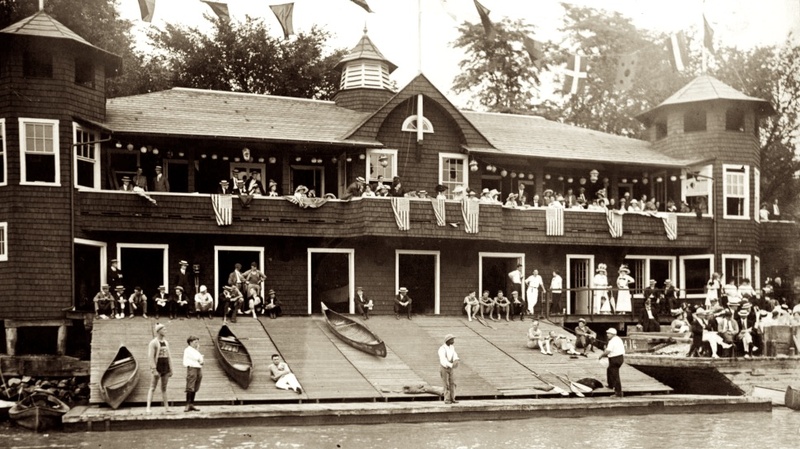 The race course is on the relatively protected water of the Potomac River, beginning and ending in front of the Washington Canoe Club on the beautiful Georgetown waterfront. The OC1/OC2, surfski, and sea kayak course will be 15 km, while the SUP and sprint canoe/kayak course will be 8 km. Note: Both races will be run concurrently. Each participant must have in his possession a PFD, Type I, II, III, or V approved by either the US Coast Guard or the District of Columbia and each boat must have at least one whistle while on the water. Please plan accordingly. In addition, SUP paddlers are encouraged to wear leashes. Results will be posted on this website at the conclusion of the race. To answer Nancy's question: Registration fee of $25 includes post-race lunch for one paddler. 15K Race: Beginning at the WCC dock, paddle across river to Virginia shore and behind Roosevelt Island. Continue downstream past 14th St. Bridge and turn counterclockwise on the first red channel marker on the DC side of the river. Remain on the DC side of the river back to WCC. Continue upstream 2 km to buoy and back to WCC, finishing at the WCC dock. 8K Race: Beginning at the WCC dock, paddle across river to Virginia shore and behind Roosevelt Island. Continue downstream and turn around the second arch on the Virginia side of Memorial Bridge. Then work your way to the buoy in front of the Kennedy Center and follow DC shore back to WCC. Continue upstream for 2 km, round buoy and paddle back to WCC, finishing at the WCC dock. Can you tell me the entry fee of an OC1 or 2 and the distance of the paddle?